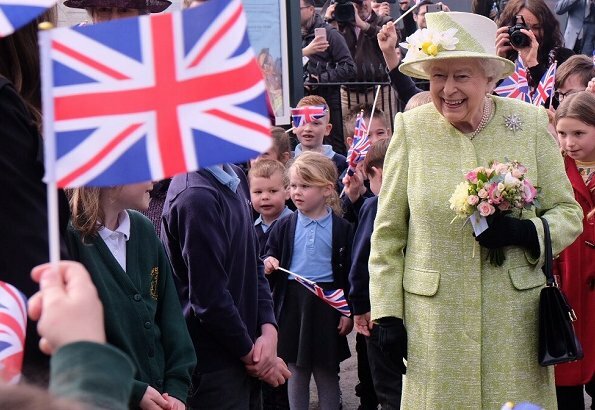 On March 28, 2019, Queen Elizabeth II arrived in Somerset on the Royal Train. 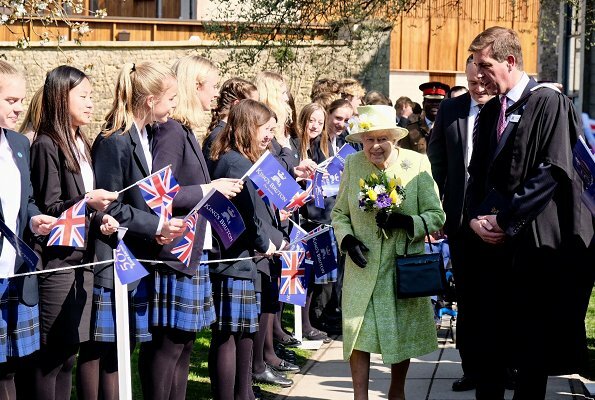 The Lord Lieutenant of Somerset, Annie Maw welcomed Her Majesty to the county at Castle Cary station. 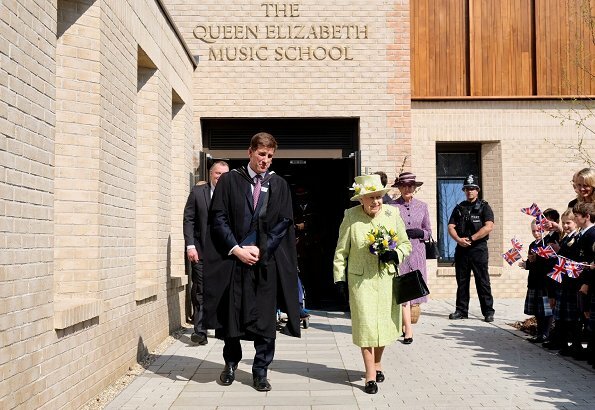 The Queen visited King's Bruton School where she will mark the School's 500th anniversary and open the new music centre in Bruton. 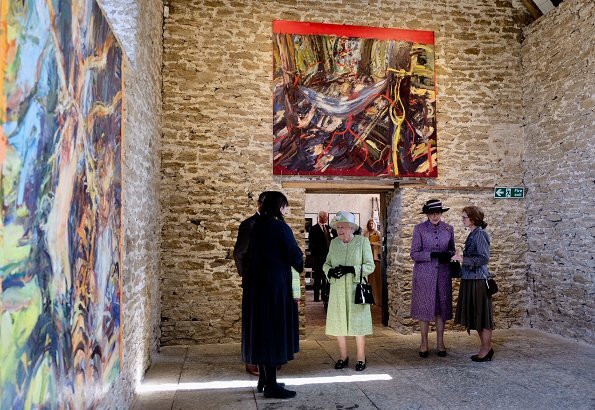 The Queen later visited Hauser & Wirth Somerset, a gallery and multi-purpose arts centre located at Durslade Farm. 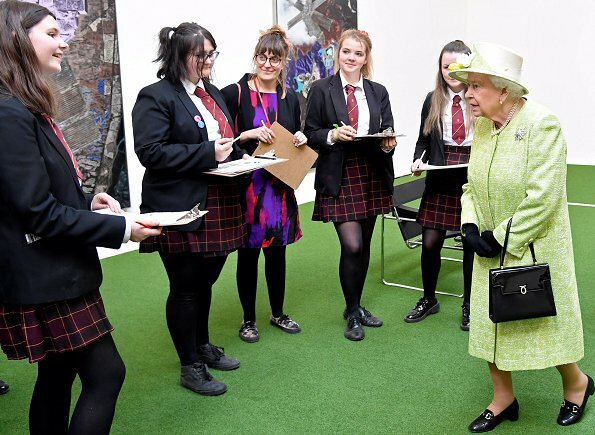 The Queen met schoolchildren taking part in a creative workshop, as well as former artist-in-residence Catherine Goodman. 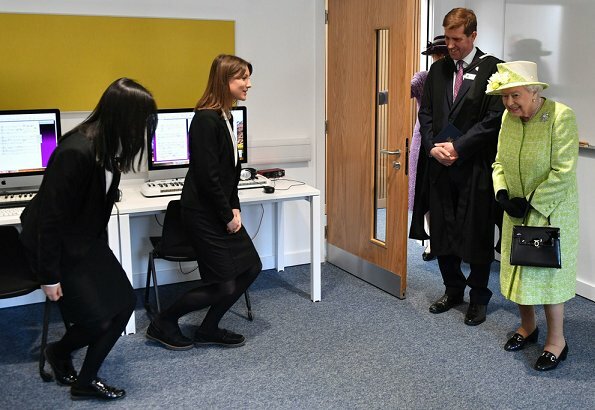 Spring personified. 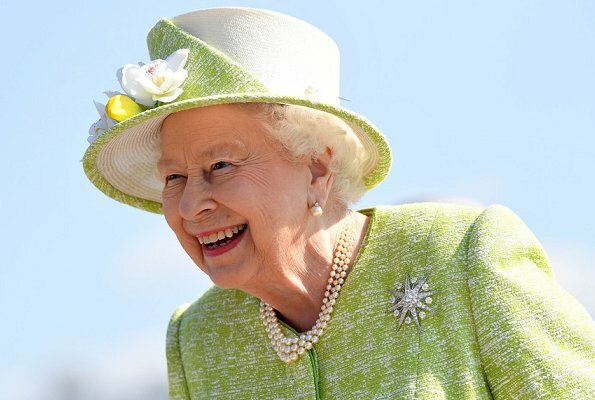 She is the GOAT and no one comes close. Well - you learn something new every day. 😊 I'm going to start using that. 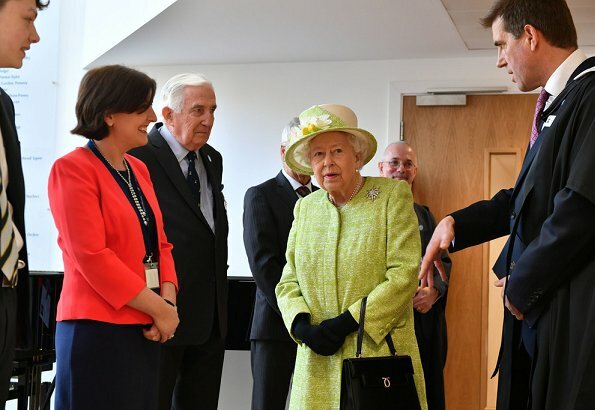 As always, Her Majesty looks perfect. She is so pretty! She just glows in that Spring color! 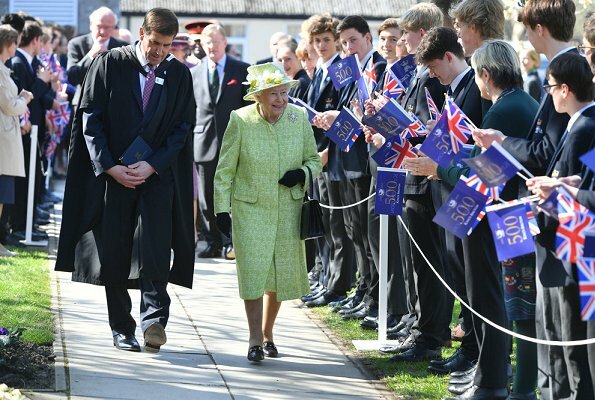 Spring has come to Britain. 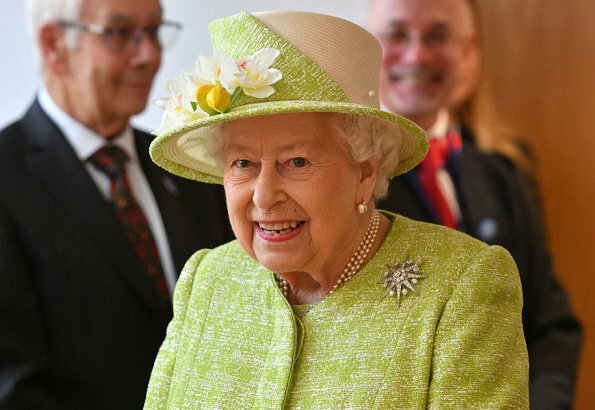 The Queen looks very lovely. 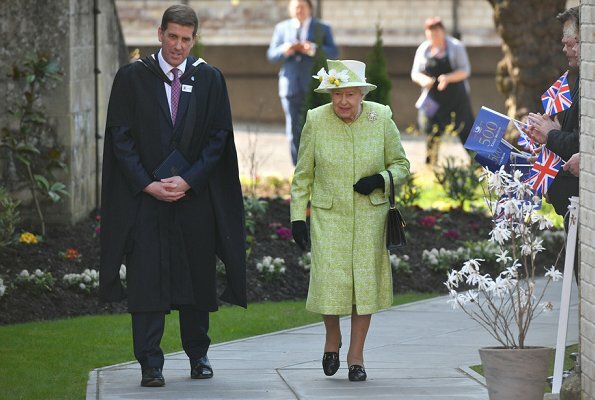 Lovely spring outfit and she looks like she's having a wonderful time.